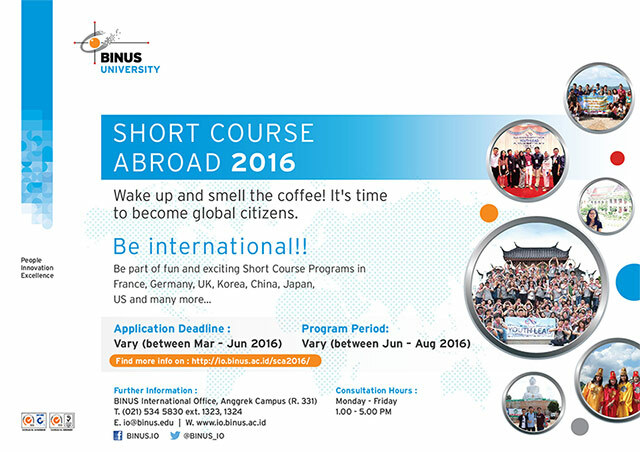 UAS Adjustment is only available if your UAS schedule overlaps with the short courses that run during 27 – 29 June 2016. You can take your UAS during the final exam period of compact semester (Semester Pendek), which is 25 – 31 August 2016. Make sure you communicate this to International Office as early as you can so we can assist you with the adjustment accordingly.